With three savage claw charms to wear round your neck! It’s dinner time for nature’s greatest hunters. So make sure you’re not on the menu. 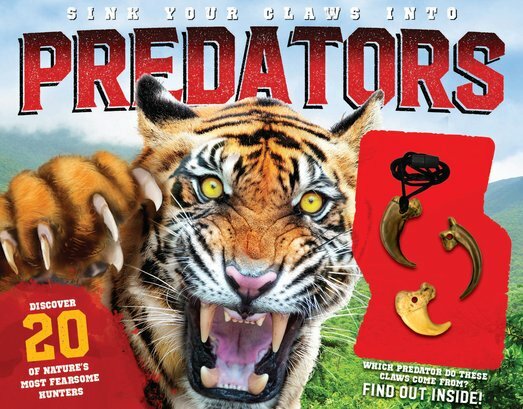 This cool book shows you how the world’s deadliest predators hunt, fight and attack. It’s got all the facts and stats: how much a polar bear weighs, and how fast a cheetah can run. Plus dramatic photos of predators in action. (Don’t get too close, will you?) Best of all, each critter has a ‘claw file’ that gives you the lowdown on its claws and prints – really useful when you’re tracking in the wild. Can you figure out which predator each claw comes from?